Are you a Parent or Guardian of an American Indian Youth? 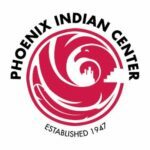 Phoenix Indian Center’s 5 Week Parenting Workshop has been developed by American Indian Parents & Families to: Increase parenting skills through culture, learn more about child and youth developmet, increase communication skills with children and other adults, and prevent and reduce risky behaviors. Workshops start November 2, 2015.